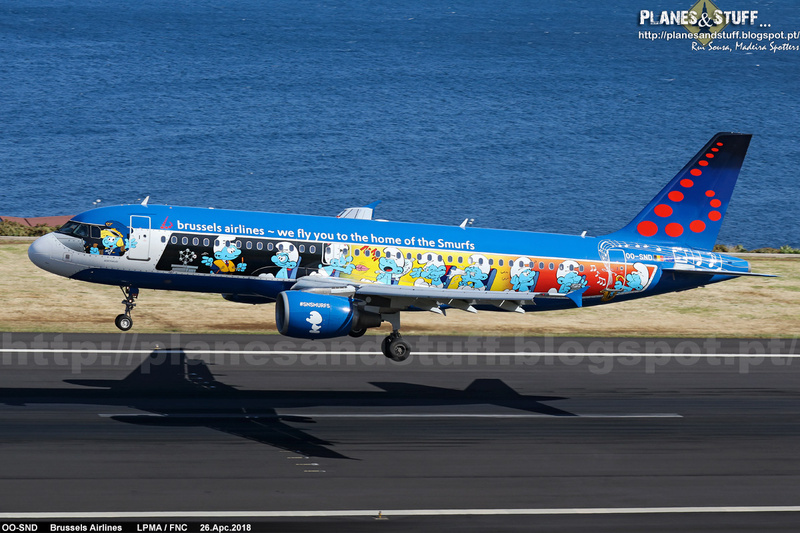 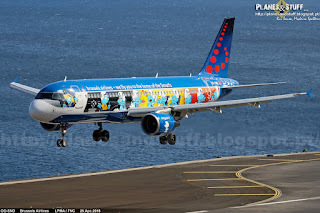 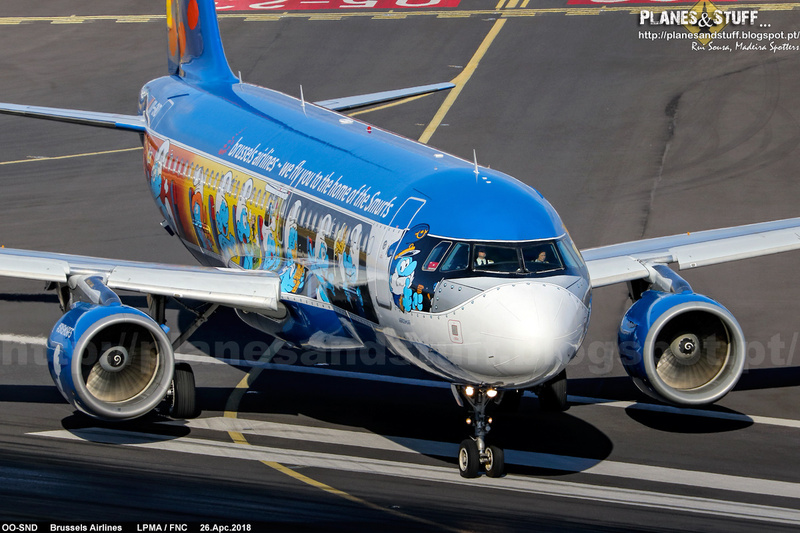 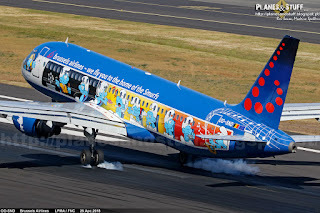 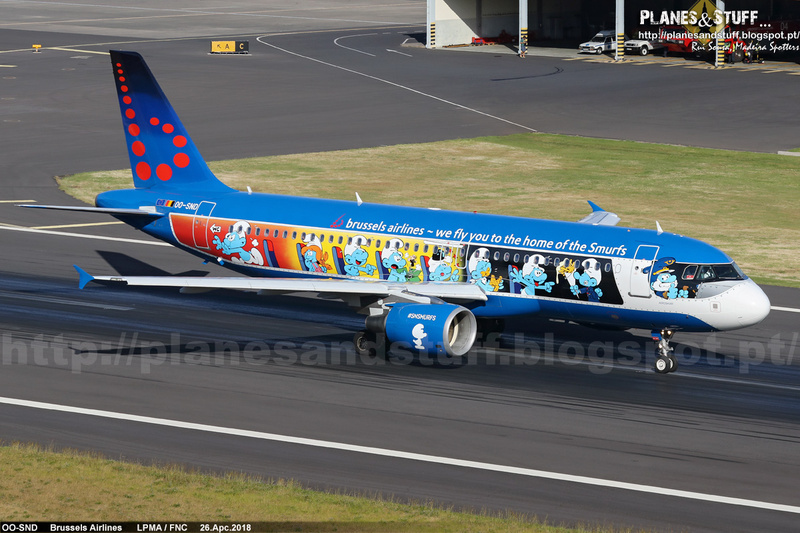 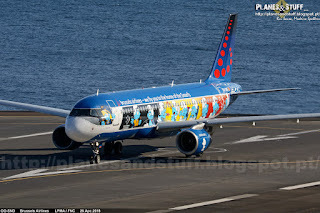 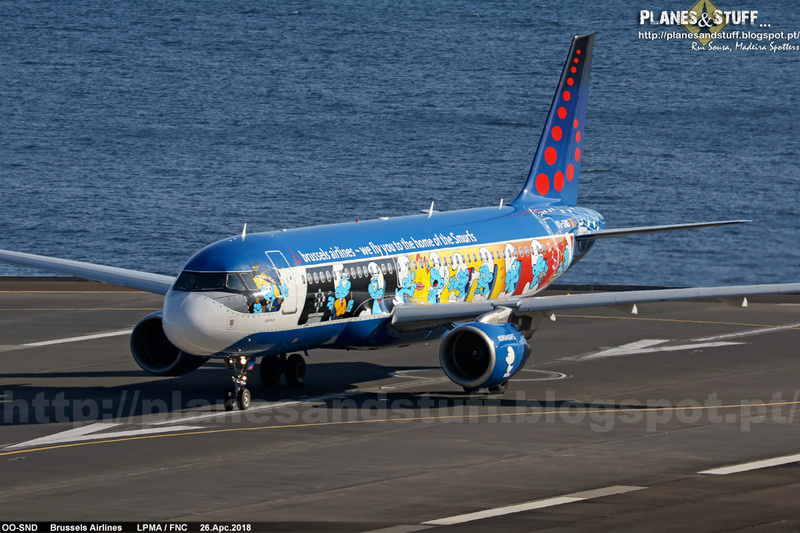 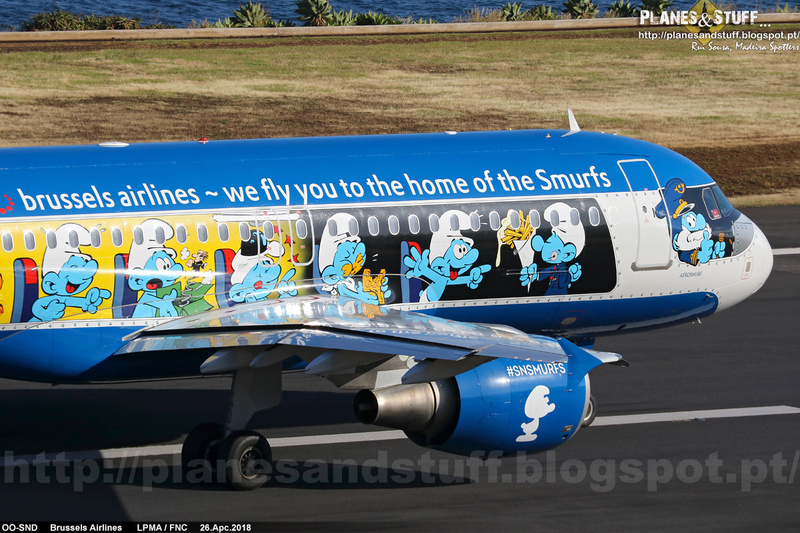 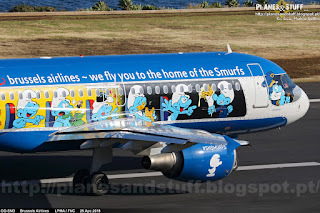 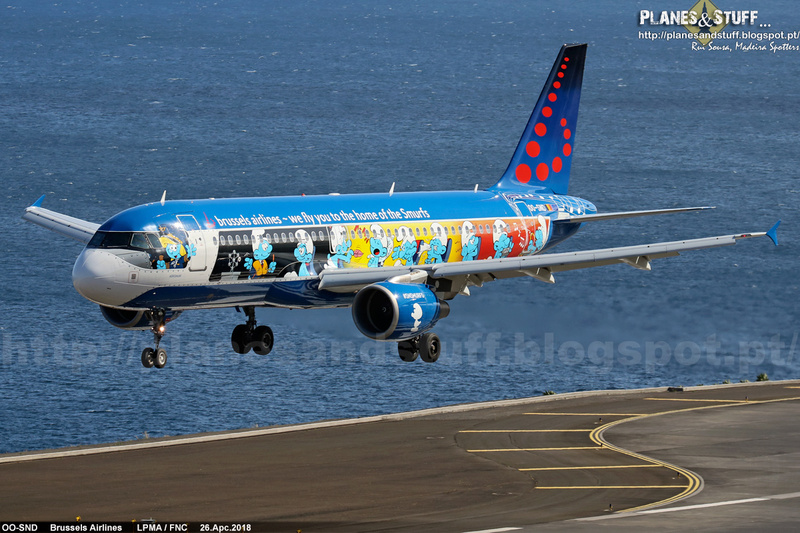 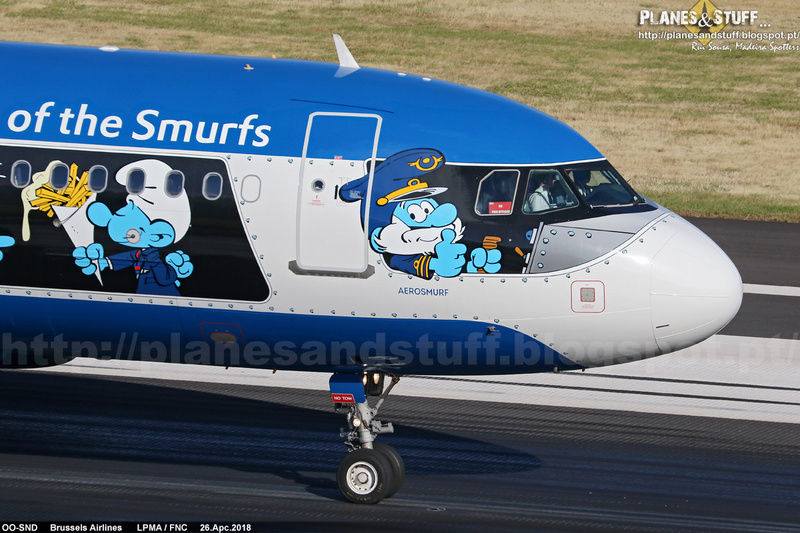 Last Friday we got, for the first time, Brussels Smurfs special livery. 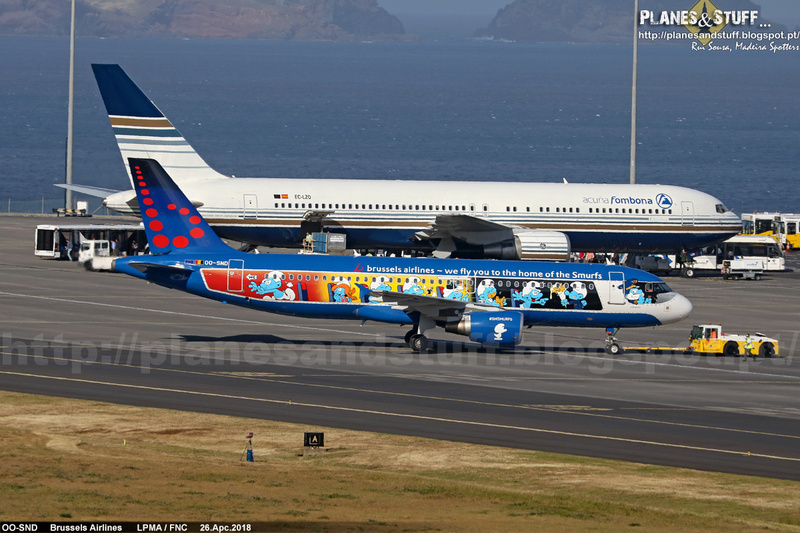 Pushing back, with the other highlight of the day....Privilege B767 EC-LZO that came with on charter flight on behalf of Acuna Fombona, for a medical conference at Madeira. 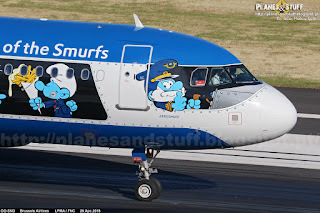 Aliás, nunca apanhei nenhum, portanto é a tradição a manter-se!